For some years now I have been told by many health practitioners and vegan friends that drinking dairy is bad for my health and that cow’s milk is for calves and not humans. Mostly I’ve ignored this advice, because I really like the taste of dairy products, primarily butter and cream. It has also been convenient for me to ignore the fact, that milk products may be bad for me or the planet, as they are such a cheap commodity these days and really delicious. I have bought the odd bit of almond or rice milk in the past, but have found the commercial varieties quite watery and over priced. Then a few months ago I decided to cut out cheese and yoghurt for a while (I was already consuming very little milk), and found that I was actually feeling better. This got me thinking more about this dairy dilemma and I came to the conclusion that it is far more complex an issue than I ever thought. The research on whether dairy is good for our health is pretty much divided, you can find arguments for as well as against everywhere you look. You really have to ask yourself “Does dairy work for me? What is my body telling me?” However, for me, whether to dairy or not to dairy is ultimately an environmental question. The fact is that the amount of dairy products we are consuming presently, is completely unsustainable for the planet. Furthermore the practices in large-scale factory style farms are often cruel to animals and many nutrients found in milk can be easily found elsewhere. In steps the humble almond, queen of nuts . This queen has surely got it going on! Almonds have so many health benefits I don’t even know where to start. There is already a large body of evidence supporting many cardiovascular benefits of eating almonds. Every handful eaten daily was associated with a 3.5 percent decreased risk of heart disease ten years later. Almonds are already known to help with weight loss and satiety, help prevent diabetes, inhibit cancer-cell growth, and decrease Alzheimer’s risk. 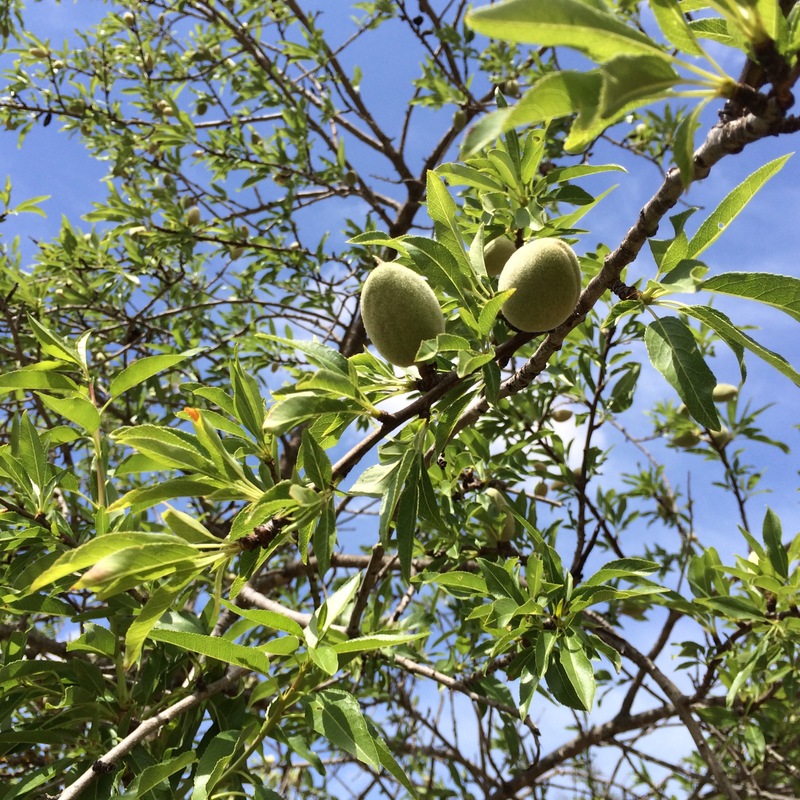 Growing almonds also puts less stress on the earths resources, using much less water and power to produce. Whats not to like? Admittedly we could also run into strife here, as most almonds are grown in very dry, even drought stricken regions like California (82% of worlds almonds are grown here) and Spain. Almond consumption has skyrocketed in the last decade and production won’t be able to keep up with demand if this trend continues. Fear not I say, everything in moderation. Almonds can be enjoyed in small amounts and don’t have to replace whole food groups like dairy and flour. I often despair when whole food groups get completely replaced by one product. The key to a healthy planet and a healthy diet, in my opinion, is variety, moderation and eating seasonal. Listen to your body, tune in and follow its cues. Your body will tell you when and what to eat, its your guru. I still eat (and love) dairy but I consume much less than I used to. I mainly eat raw organic milk and cheese and when I have time I will make my own kefir. I try to buy local produce as much as I can, although I’m also a bit partial to french cheese. Homemade almond milk has now become a firm favourite of mine. Its luscious and velvety smooth and because it’s so filling, it really is satiating. I often have a bottle of this chocolate milk in the fridge to drink, as a little sweet pick me up that’s good for the heart and the soul. 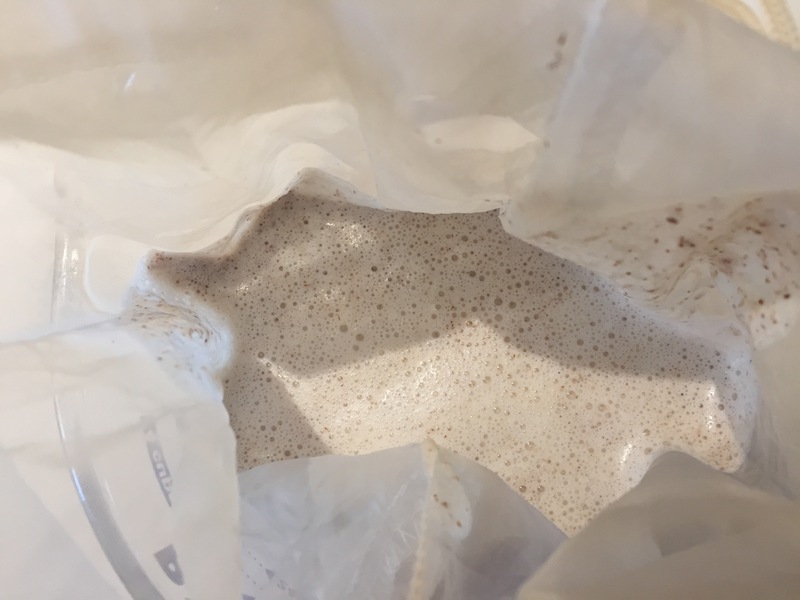 strain the mixture through a fine muslin cloth or a nut milk bag and collect the almond milk. 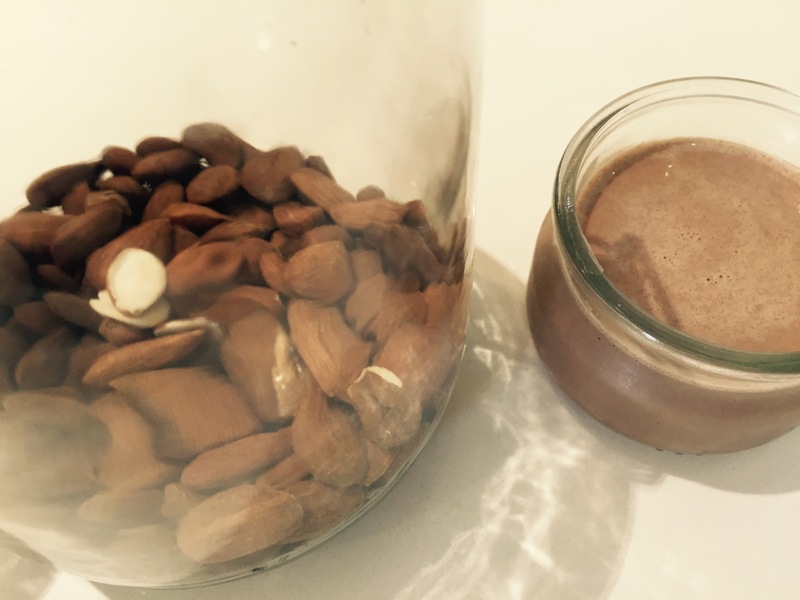 To make chocolate almond milk simply add 2-3 teaspoons of cocoa (use less if your sensitive to stimulants), 2 soaked dates and 1 teaspoon vanilla essence to 500ml of almond milk. Put it all back into the food processor and process until the dates are completely incorporated. You can also use less almond milk and add more water for a thinner drink. Consume straight away or chill, I personally like it cold. If you like your milk a bit more spicy try adding 1/2 teaspoon cinnamon and the contents of a cardamom pod when your blending it. This milk is delicious just on its own or try adding seasonal fruit and honey or dates instead of chocolate. You can use this milk in baking etc just as you would normal milk. If your milk separates in the fridge, just shake it before using it. Experiment and make it your own best flavour. I absolutely adore this chocolate version. I serve it nice and cold in a small glass in the afternoon or after dinner.